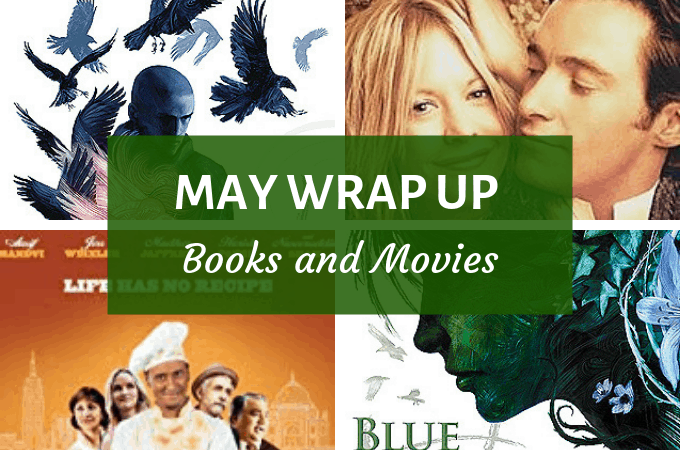 Welcome to the second installment of The Monthly Wrap Ups, a series where I wrap up my month in books and movies, within the first week of the next month (and this time I have actually managed to post this within the first week. hurrah!). This book has the lowest rating (by me) so far in this series. Well, relatively speaking of-course, because 4 is still a pretty good rating in my world. And really there is only one reason for the lower rating – according to me, this book goes overboard with its focus on Ronan, to the detriment of everyone else, and also takes a detour from the main plot line. Don’t get me wrong, I don’t dislike Ronan. I actually like him – a lot, and this wasn’t an irrelevant detour either. It does add to the plot. I just felt that this track did not require a whole book dedicated to it (and only it), and I really wanted more of the others. Mostly because, it has been a long time that I have felt so invested in fictional characters, and I truly love them all – Blue, Gansey, Noah, Ronan, and even Adam (though he continued breaking small pieces of my heart in this book too). I just would have liked to get to know all of them a little more, which did not happen, and that is my main grouse with this sequel. The Raven Boys had a multi-faceted narrative, with all of the characters having a (relatively significant) story line, as the main plot unraveled (albeit a little slowly). That was not the case here, which is why, I liked this one a little less than Book #1, but that is not to say that I did not love this one too. Verdict: Never mind the stars. Read this. This one I enjoyed a lot more than the second installment of this quartet, and it is (so far) my favorite book in the series. It had everything that I loved about Book#1, and more. The characters stayed as lovable as ever (Adam redeemed himself in my eyes – finally!) and Steifvater is just a class act when it comes to character development, which really is one of the best things about this series. However, I must say, that at this point (after reading 3 books out of 4) I am wondering why this series is promoted as a romance. There is so little of the romance that it doesn’t justify it being marketed as one. If there is anything that stands out about this series, it’s the wonderful friendships that develop and unfold (which is really amazing to watch, and a big part of why I love this series so much). But while we are talking about the romance (or its non-existence) – I must say that though this series doesn’t need the romance (it does well without it too), the readers are conditioned to expect one. And while this book has a lot more of Blue and Gansey than the earlier two, it’s not enough. See, I understand slow-burn (heck I have ranted about insta-love so many times!) but this is not even moving at a snail’s pace. After 1300ish pages, I think it’s about time to crank up the heat on that ‘true love’ the author promised. Also, I must mention that Steifvater has a very peculiar way of handling her ‘villians’ – I never know what to do with them! Hate them? Love them? Empathize with them? And many times these threads involving the villians are very anti-climatic, which can be very frustrating. But of-course these are just petty complaints if you compare it to the amazingness (newly coined word) of this series. This book especially was a total page turner, and I can’t even count the amount of life-things I have procrastinated to read this one; sleep was just a minor causality. Verdict: Do you need more convincing? Get this. Now! P.S. A non spoiler series review for The Raven Cycle as well as a spoiler-y book chat for The Raven King is coming up soon – very soon. P.P.S. This past month I also had a 2 part Book Review/Discussion on Ajaya by Anand Neelakantan. If you missed it, you can check it out here (Part 1) and here (Part 2). Note: I am not doing star ratings for movies, because unlike books, I don’t analyse them critically, but if ratings are important to you, then you can safely assume that any movie I recommend is a 4 or 5 star from me. I had come across this movie several times before I decided to take a chance on it and watch it. I am not sure exactly why I kept putting it off, but it just seemed very meh to me at first, but I was clearly wrong. The plot revolves around the lives of the two protagonists Kate & Leopold who seem to be perfect for each other, except that these two are not living in the same century. Bummer, right? But like they say – true love finds its way (at-least in the movies!). This one has all the elements of a good romantic comedy – interesting plot, good acting, and a heart warming happily-ever-after. It’s not perfect, there is at-least one major plot hole at the end, but it did not bother me at all. I think it is about expectations. I was having a very hectic week, and I wanted a relatively mindless rom-com, a feel-good kinda movie, and this delivered. Plus there was time-travel – which was a complete bonus, because I love this theme in books and movies. As far as the cast is concerned – Hugh Jackman is very charming and talented. I don’t think I have seen many of his movies, but I am certainly going to hunt them down now. Meg Ryan was well, Meg Ryan. This was not her best performance, but she is always pretty good. It’s just that her character kinda blends into many other characters she has played before, and it’s just more of the same. Nonetheless, this one is a safe bet in the rom-com universe, as long as you don’t get hung up on the accuracy of the sci-fi/time-travel aspect, and remember that this is essentially a romance. Having said that, Hugh Jackman’s charm contributed significantly to my overall enjoyment of this movie. This one was an extremely random pick. I did not want to put time and energy in selecting a movie (hello laziness!) and this one popped up on the first page of Netflix. It was about food, and I thought – how bad could it be? As it turns out, it wasn’t bad at all. In-fact it was very very good. A completely unexpected charmer! The plot revolves around this guy Sameer (Aasif Mandvi) who comes from an immigrant family, but is born and raised in America (Brooklyn, I think). His family owns an Indian/Pakistani restaurant which is struggling to survive, but he works in an American restaurant as a Sous Chef, and has little to no knowledge, or interest for that matter, in his native cuisine. Certain circumstances lead him to the position of managing his family’s restaurant for a little while, which he accepts, albeit grudgingly. The story then follows him as he navigates through the maze of his cultural roots while balancing his hopes and dreams for the future. This story takes a very predictable route, and also includes certain far-fetched characters, yet has an irresistible charm that is guaranteed to make this one a crowd pleaser. Moreover, I liked the casting, and everyone acted extremely well, however the protagonist Aasif Mandvi was the one who shone in this department. All in all – It’s a quirky, light-hearted, good-natured comedy, revolving around the delicious food of the Indian sub-continent – a definite crowd-pleaser! « My kid would never fall into a gorilla pit..and other lies we tell ourselves. Great wrap up indeed, thanks for sharing and nice weekend! 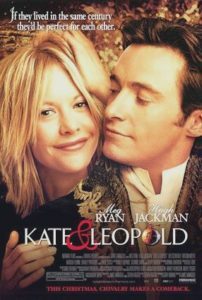 I loved “Kate & Leopold” when I watched it at the cinema years ago in Germany. 🙂 And I became a Hugh Jackman fan after it. 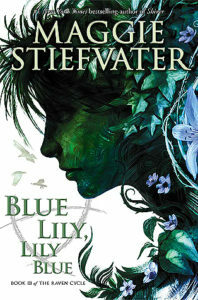 As for Maggie Stiefvater, I read and enjoyed her “Shiver” wolf trilogy, but haven’t read any of her other books. I think I’ll check out Today’s Special. It seems interesting. I’m totally in the mood for a movie today, which is quite surprising, considering that I always prefer reading books instead ? Seems I spend too much time online nowadays and not reading or watching movies. But, speaking of Hugh Jackman, he has a line of coffee out now called Laughing Man. I normally don’t care if a celebrity endorses something (it doesn’t make me try a product) but in this case, I fell in love with one of the blends just because, and I’m happy I tried it. Have a great weekend! I used to do that too – think I will spend 1 hour on the internet, and it magically turns into 5. Sigh. Manish Purohit recently posted…Diwan-e-Ghalib ~ The Curtain Raiser. . .
Ha, well, you’re not wrong about the romance. But I thought even if Blue and Gansey didn’t get very far in this book, Ronan did quite a bit of courting of Adam. Right? Right? And it was great. Plus, it’s still true that the books are more about friendship. I guess the marketing of it as a romance must’ve been because that’s something very familiar in YA? Magic things, and romance? Okay okay it looks like I need to read the Raven series 😀 I’m more after the friendship stuff but have seen everyone gushing everywhere. Have a great June! I loved Today’s Special! It was definitely charming and wonderful. I don’t think I have ever watched Kate and Leopold even though I love Meg Ryan. Yikes! I have been thinking about read the Raven Quartet. So many good reviews for this series. Let’s see, maybe next month. Loved your wrap up post. Need to read this series – The Raven Quartet but am in the midst of A Game of Thrones so this will have to wait. I’ve watched Kate and Leopold and I loved it. I like Meg Ryan, period. Have you seen You’ve Got Mail? I completely loved her in it. Haven’t heard of Today’s Special. Will try to catch it now. Everyone keeps gushing about The Raven Cycle! Gosh. How likely is this series to be turned into a TV show or movie? I’d love to see that.